Karniyarik is one of those Turkish favourite dishes which could be unmistakably seen throughout the country on every simple to big occasions. Karniyarik literally means "split belly". 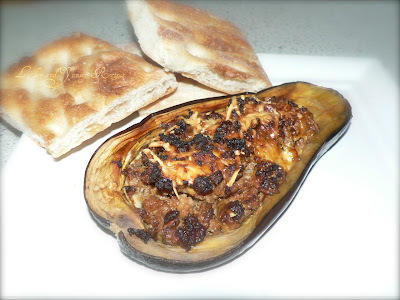 The eggplant is split, stuffed with a mix of ground meat, garlic, onions and spices. 1. 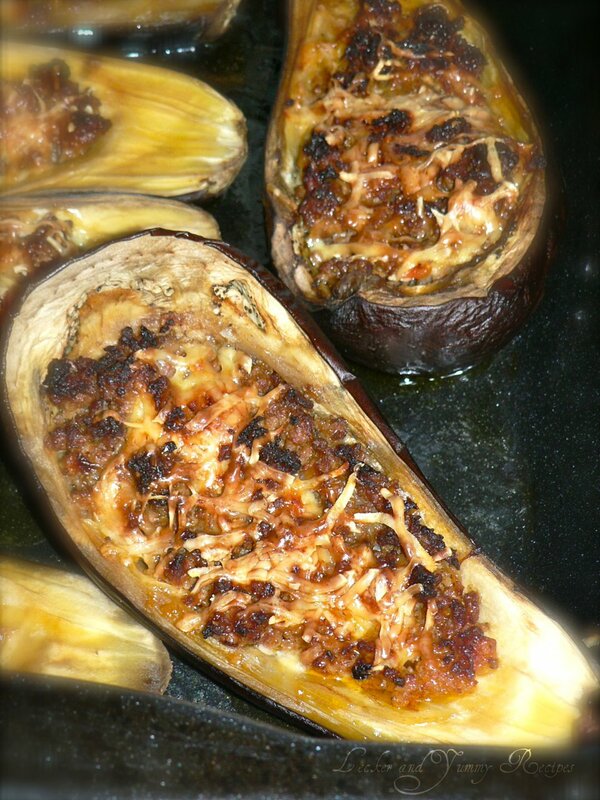 Split the eggplants into two. Remove the white part(you could use this for some other preparation). Sprinkle some salt on the cut halves. 2. 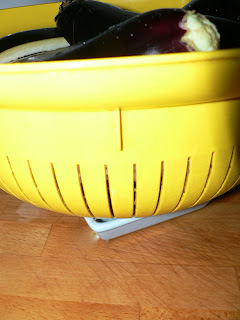 Allow it to strain through a sieve for half an hour. This helps remove all the browning, which gives bitterness to the vegetable. 3. In a separate pan, heat 2 tbsp of olive oil. Saute the onions. Add the ground meat, chopped tomatoes, tomato paste, salt and pepper and cook until the meat turns light brown. 4. 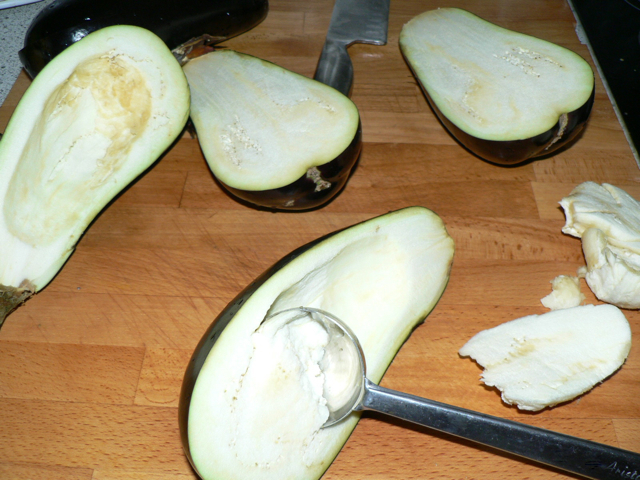 Wash the eggplant, dry them using a paper towel. Place them in a tray. 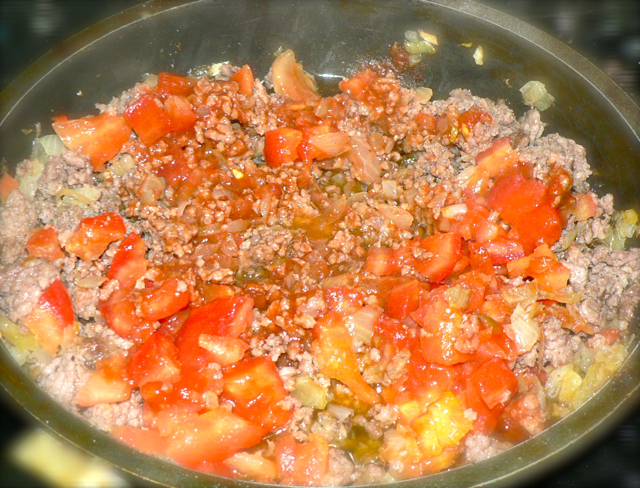 Stuff the ground meat filling. 5. 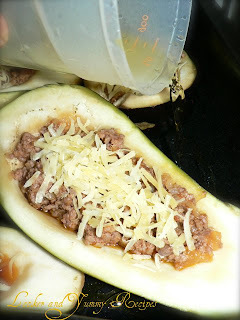 Sprinkle the grated cheese. Mix the rest of the olive oil with 150 ml water and carefully pour it into the tray as a water-bath. 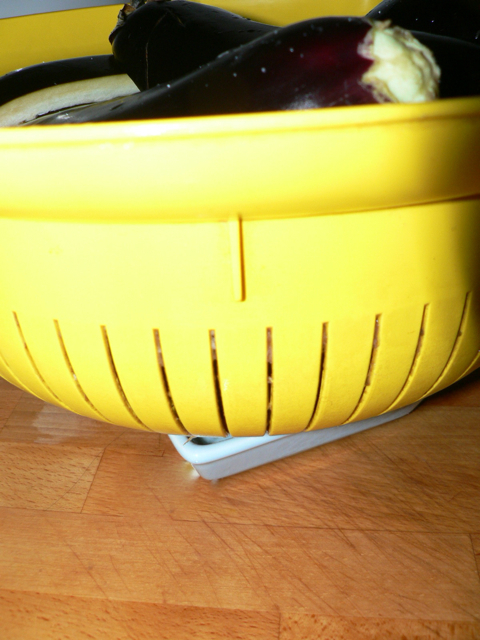 This helps prevent the eggplant's skin from sticking to the tray while baking. 6. 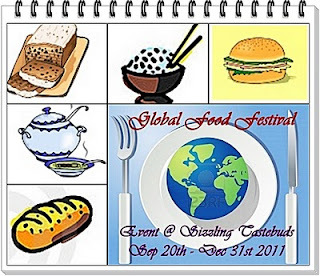 Preheat the oven to 200 °C. 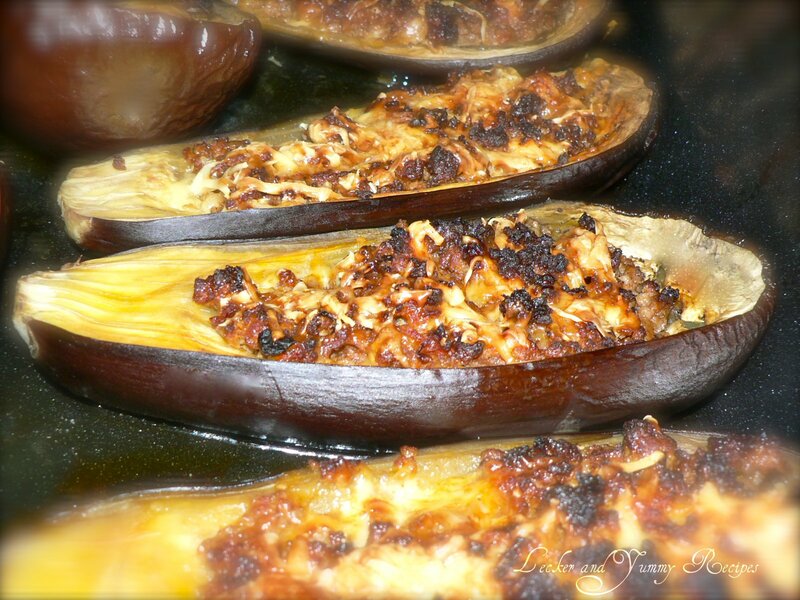 Bake the stuffed eggplant for about 15 minutes. 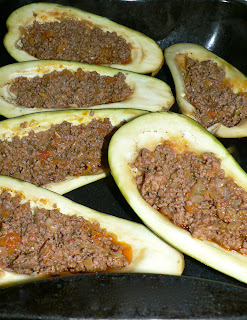 Then reduce the temperature to 170 °C and bake for another 30-45 minutes until it is soft and done. 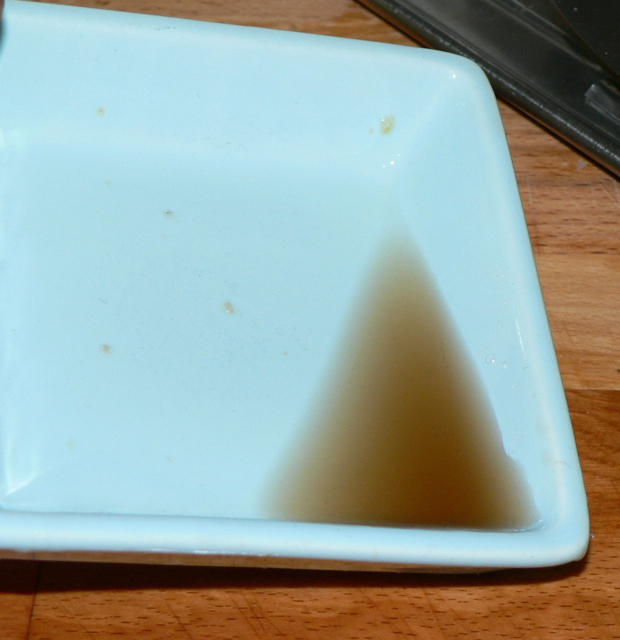 Keep checking for the over-browning of the cheese from time to time ! 7. Serve the Karniyarik with bread or rice. Tastes lecker when warm ! This recipe goes to the Global Food Festival, organised by Sizzling Tastebuds. Looks so tempting..never tried stuffed eggplants..will surely try this. Hats off to you api for such a great job :)..!! !